ORIGINALLY POSTED BY HEATHER R. COTTER ON POLICEONE.COM on January 28, 2019. Far too often procurement officers in law enforcement do not have the expertise to conduct due diligence when purchasing new equipment. 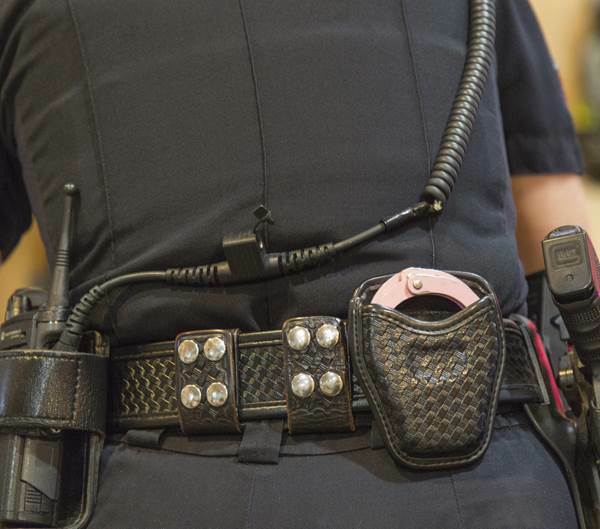 Not only can this impact a department’s bottom line, but when dealing with safety-related gear like body armor, the wrong purchase could be deadly for cops in the field. This article details three common errors procurement officers make when purchasing soft and hard body armor and how to rectify those mistakes. 1. Not familiar with national standards. Since 1972, the National Institute of Justice, an arm of the U.S. Department of Justice, Office of Justice Programs, established foundational standards for body armor. The NIJ even tests commercially available products to ensure the protective vests meet minimum performance standards. Procurement officers must become familiar with these standards to help make an informed decision. The information is publicly available and can be found on the NIJ’s website. 2. Not replacing body armor when needed. Just like a patrol vehicle, body armor has a life expectancy and it degrades with wear and tear. Procurement officers need to understand and assess the quality of the department’s existing body armor and decide whether it’s time to upgrade. Soft and hard body armor needs to be properly cared for, stored and maintained. According to the NIJ, there are several substances that can impact the effectiveness of the body armor. Procurement officers need to be aware of the on-going maintenance and replacements required of body armor. 3. Buying the wrong equipment. Law enforcement procurement officers responsible for the acquisition of body armor need to understand that just because a vendor manufactures it, that does not mean the product will meet the agency’s needs or that it will protect an officer in a life-threatening situation. Procurement officers need to also understand the types of threats officers in their jurisdictions are likely to face. In addition, and according to the NIJ’s Guide to Body Armor, there are other factors to consider such as wearability. This includes comfort, ability to perform duties, officers’ shape/body type, the equipment weight, its thickness, whether it’s a covert or overt carrier and the type of fastener (zipper or hook and loop). Once a decision is made to procure new hard and soft body armor, agencies and procurement officers must perform their due diligence. Simply buying the same product that a neighbor agency recently acquired is not due diligence. Here are some steps to take before procurement. These steps are simplified, and there will likely be additional factors and actions required before an acquisition. Step 1: Identify the type of purchase the agency is going to make. Is it an individual purchase or a small/large quantity purchase or as needed? Step 2: Expect to evaluate multiple soft and hard body armor products. Body armor is not an acquisition that should be done in a hurry. It’s a life-saving technology. Keep an open mind, but also reference the NIJ’s Compliant Product List (CPL) during this process. Step 3: Avoid low-bid decision-making. For a purchase like soft or hard body armor, agencies must make it a best-value decision, not lowest price. Agencies must (1) make sure the manufacturer is on the NIJ’s CPL and compliant with the current standards, and (2) agencies must be the primary decision-maker in determining which product meets its needs, in other words, the decision is not based on lowest bid. The responsibility of a law enforcement procurement officer goes beyond acquisition, especially in respect to soft and hard body armor. The procurement officers must be knowledgeable about what is being purchased, and they need to perform the necessary research and evaluation before acquiring. While there is a lot of existing research about body armor available to law enforcement procurement officers, it is best to stick with research coming from authoritative sources like the NIJ. Fortunately, these resources are readily available. There are sections within the NIJ’s Guide to Body Armor (Chapters 6 and 7) that are specific to procurement considerations and procurement specifications. U.S.-based ShotStop® Ballistics is developing the lightest, thinnest, and strongest advanced armor technologies in the world. From body armor plates and armored vehicle protection, to its innovative BallisticBoard™ material and custom armor solutions, ShotStop® Ballistics is leading the way in improving the protection of our police, military, special forces, S.W.A.T., security personnel, and more. With technical expertise that spans more than 35 years, the ShotStop® team brings together engineers, Ph.D.’s, chemists, product developers, and ballistic specialists, to create ballistic technology that saves lives, reduces physical encumbrance, and maximizes performance. ShotStop® consistently uses independent and federally accredited ballistic labs, including the Department of Defense and National Institute of Justice, to ensure ShotStop® armor provides our servicemen and women with the best possible protection. Contact ShotStop® Ballistics at www.ShotStop.com, call 800-986-0795/1-330-686-0020, email info@shotstop.com, or write to 1000 Campus Dr., Suite 300, Stow, Ohio 44224.